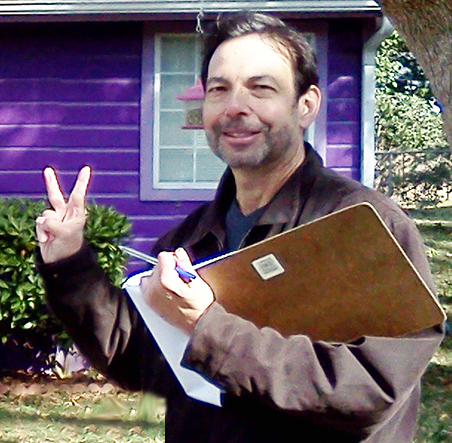 Canvassing in Stone Mountain, Georgia, Nov. 1, 2014. Time, money and faith – this is the most I have given of all three to Democrats in Georgia. I’ve written posts. I’ve knocked on nearly 400 doors. I’ve opened my wallet to attend and host fundraisers. I do this not only to return Democrats to power in statewide and national offices, but also because I believe that this state cannot succeed, this country cannot turn the corner economically and socially, with Republicans steering policy in a hard right direction. In this part of of the country, when it comes to Republican politics, there is no soft right, no simple fork. Every right turn the Georgia GOP makes is 90 degrees from center. In the phone calls and the canvassing, I have met a handful of folks who do not see the point in voting. 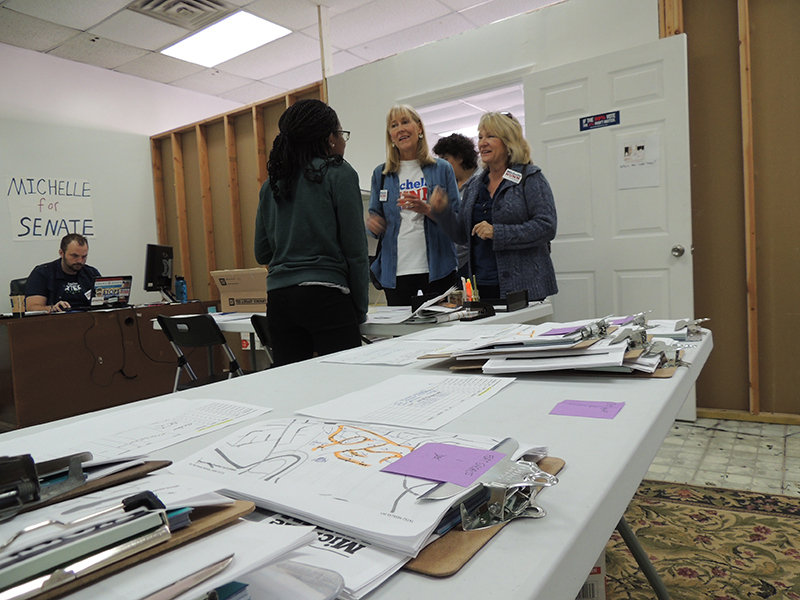 I can tell them, as Michelle Obama did on a visit in support of our candidates in September, that if we can just get 50 more votes in each precinct, we can turn Georgia blue. 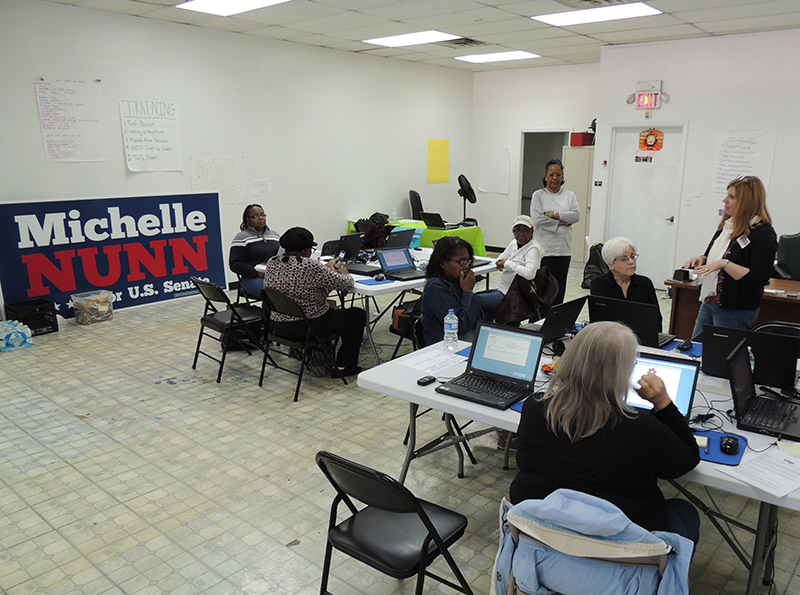 I can tell them that Michelle Nunn will work for all Georgians, bringing her skills in philanthropic activism, getting those with means to have a social conscience and help those in need. I can tell them that Jason Carter should be our next governor because he believes in strengthening education, understands that Medicaid expansion would return federal money to our state that we’ve already paid, and could help 650,000 Georgians, and will do everything he can to restore integrity to the ethically challenged office of the state’s chief executive. I can tell them that, but the most important thing to remember, is that even though we have been disappointed by Democrats as well as Republicans, and the Democratic Party in the South has a long way to go to be the party of FDR, getting Southern Democrats elected now, prepares the soil for the acceptance of the kind of liberal, progressive Democrat we really want. It is much easier to plant a seed in accepting ground than to keep trying to force a plant to root in frozen, unyielding soil. The time is now. Vote Tuesday. The future of a progressive South is in your hands. Previous Post Is another 6 years of obstruction what we really need in the Senate?